Family Holiday Namibia: A wish of almost every wildlife and nature lover with kids. 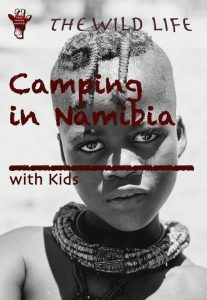 Starting off in one of the child-friendly guest lodges around Windhoek and continuing camping in Namibia with your kids on a roundtrip. Watch the starry big sky by night. introduce them to pure nature. Bring wildlife from your children’s animal books to life! 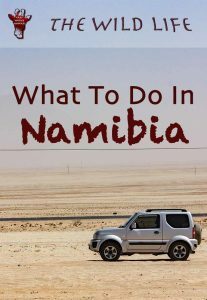 A comprehensive guide which shows you what to do in Namibia, top 10 do’s and don’ts of driving in Namibia, Safari Tours with Kids. I’ll show you where to find the most beautiful places in Namibia, National Parks, regional descriptions, example roundtrips and maps with campsites. Why a Family Holiday in Namibia? To start off your family holiday in Namibia well, arrange a couple of days in a Lodge around Windhoek with a safari guide who provides a mini-ranger-course for kids. Visit places of interest in Namibia and give your kids their own photo- or small video camera to experiment. 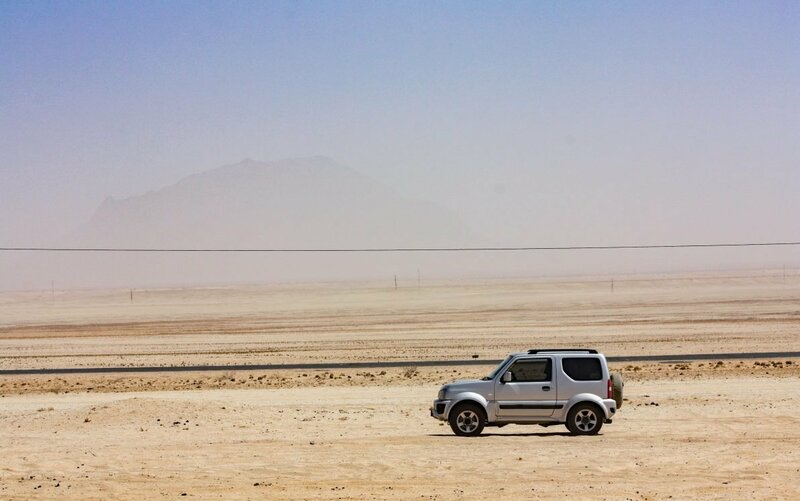 Self-Drive with a 4×4 and go Camping in Namibia National Parks in the midst of wild nature. Prepare the food and cook together in plain nature. Make music around the campfire and tell stories to each other. 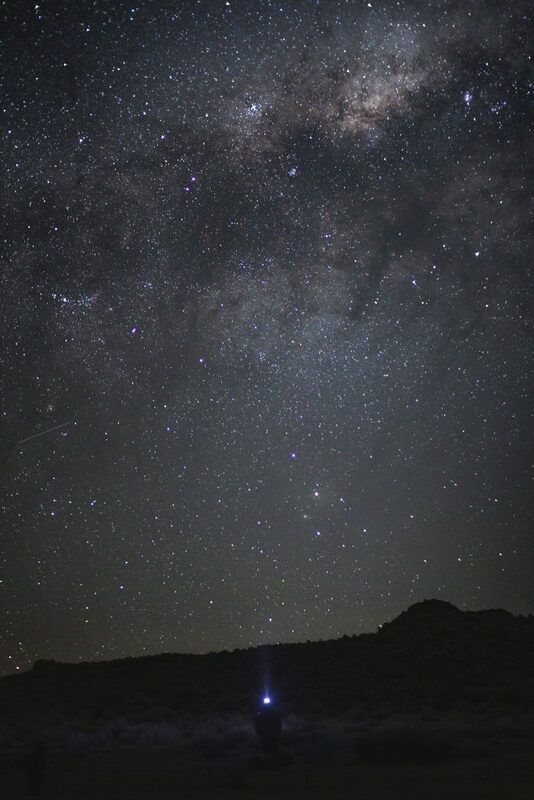 Stargaze under the endless sky, improve your knowledge of astronomy and guess the zodiac signs. Take Namibia Safari Tours in Game Parks and give the kids a list to tick off all animals which they spotted. A 4×4 drive in the sand dunes with a tour guide is an adventure for all. Let your kite fly in the wind on the endless beach at Swakopmund and eat a slice of typical German “Schwarzwäldertorte” in Africa. Take a balloon ride over Sossusvlei. A peaceful and tranquil flight above the dunes is the ultimate experience for families as a part of ecotourism in Namibia. Not enough suggestions “What To Do In Namibia Top 10”? Here comes more! It is a once in a lifetime holiday, right? To find awesome child-friendly lodges around Windhoek for the first couple of days after your long haul-flight, the best self-drive routes and camping in Namibia, get in touch with the local specialist of Southern Africa. Our friend Gisela Piercey from African Twist lives in Cape Town. Having kids in the teens herself, she knows all about planning the best Namibia Safari tours and where to find the most beautiful places in Namibia. Nothing beats a mini-ranger-course with a safari guide, to prepare your kids for the upcoming visit to Namibia’s National Parks. And, she even will be able to advise you on the details of advisable clothing in Namibia and other essentials for the kids. Generally, from eight years and older Namibia Safari Tours with kids are great! They will be able to follow the instructions of a safari guide and bring with the patience to observe wildlife quietly for some time. Namibia’s dimensions are large and to get from one of the top places in Namibia to the other can be too demanding for younger kids. If you limit your journey and the number of places of interest in Namibia you want to see, you can have a great family holiday with small children as well. Consider Lodges around Windhoek which have specially adapted to family holidays with Kids. Each Game Lodge and Safari tour company has their own rules on age, but if asked, they are flexible. With a land surface of 824’269 square km, Namibia is nearly four times the size of Great Britain. The distance from Cape Town to Windhoek Namibia is about 1’500 kilometers, of which 800 kilometers in Namibia. At Vioolsdrift on the Orange river, you cross the border. From Windhoek to Kazungula, Zambia, on the way to Victoria Falls is another 1400 kilometers. A journey from Windhoek – Etosha National Park – Skeleton Coast National Park – Swakopmund – Windhoek is about 1600 kilometers. 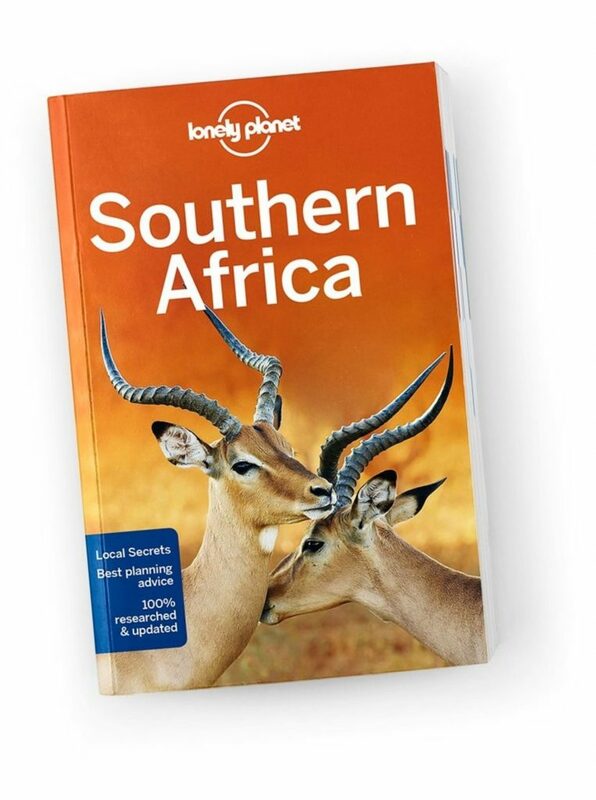 The roundtrip Windhoek – Swakopmund – Sossusvlei – Luderitz – Windhoek adds up to about 2000 kilometers. 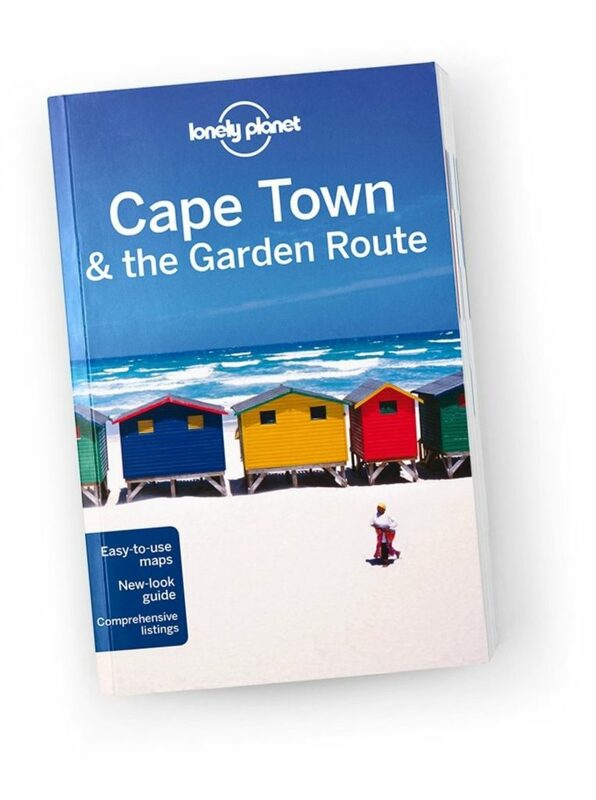 Best to buy a travel guide and plan your itineraries before your travels. Anytime is the best time to visit Namibia, Botswana and South Africa. Within a short holiday, you may not consider negotiating the distance from Cape Town to Windhoek Namibia. If you do, you have some unique National Parks on the way like West Coast National Park north of Cape Town, Namaqua National Park and halfway to Windhoek /Ai-/Ais-Richtersveld Transfrontier Park with amazing hiking trails and activities on the Orange River. Combining Namibia – Botswana with Kgalagadi Transfrontier Park, Namaqualand and /Ai-/Ais-Richtersveld Transfrontier Park is approximately 2450 kilometers, just counting the direct transfers without local explorations. 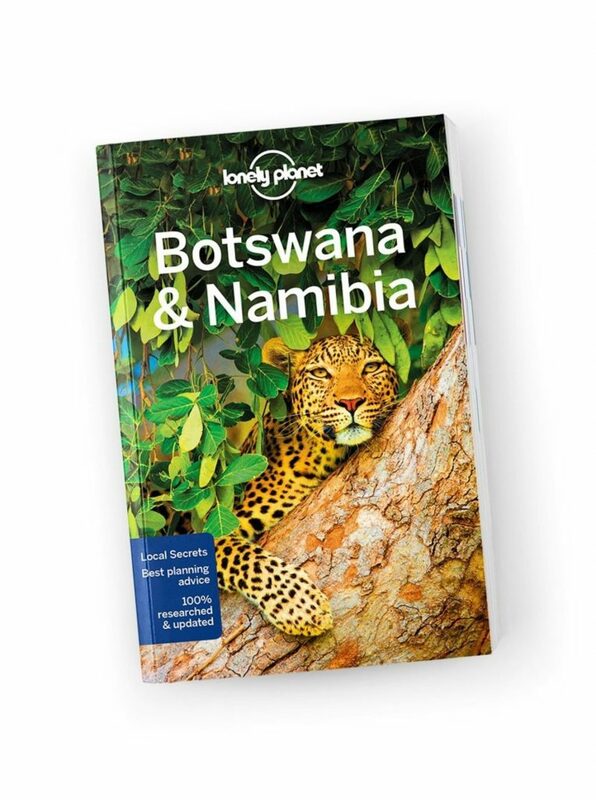 Best time to visit Namibia – Botswana – South Africa combining with the bloom of Namaqua National Park is End July / August. Whatever trip you decide to take, plan well in advance and consider the distances. Roads are excellent, the traffic signals and signposting clear, making driving in Namibia a pleasure. The national roads are very good tarmac, but most others are smooth gravel. Adjust your speed on these to stay safe. If you rent a 4×4 with all gear for camping in Namibia you are ready to visit the most beautiful places in Namibia. Most of your travels you’ll find a 2WD perfectly sufficient though unless you hit rains in Namibia National Parks or other off-beat areas. hire a well-equipped and maintained 4×4 vehicle. An international driving permit isn’t a must but helps with police checkpoints, especially if your national license isn’t in English. make sure a fridge comes with it. Drives are long and you’ll be thankful for a cool drink in the heat of the day. pay attention to the introduction, especially how to change tires. make sure that the rental vehicle has two spare tires. Punctures are common. take note of emergency and road assistance numbers and check the list of equipment thoroughly. make sure you acquire the right bundle from your cell phone company or get a local sim card as soon as you are in Namibia. Cell phone connection is essential! stock up on food and water in Windhoek and again in every sizable town before you drive off. Supply in towns is generally very good, but the in-between distances are huge. stop, when you see a petrol station and fill up! close the car’s vents when you encounter another vehicle on a dirt road. Dust gets everywhere. stop and help if you see somebody with a breakdown in a remote area. In a country so vast and sparsely populated to help each other is common sense. drive at night! Don’t! You don’t see potholes and wildlife and if you have a breakdown, you will be all own your own. drive on the right. Especially on remote roads, you’ll have to remind yourself again and again. drive alone if you head into off-road remote areas, make sure that you are at least two vehicles. One can tow the other out if you get stuck in the sand. get exhausted while driving. Check your distances and plan carefully. Namibia is immense and you don’t want to drive at dangerously high speed to reach your next destination in time. expect to find shade. Wide-brimmed sunhats, shade cloths or sun umbrellas are a lifesaver. leave your car unattended and surely not with valuables visible. The crime rate is low but you won’t want to tempt fate. forget to appreciate the small things along the road and have a picnic once in a while. disturb wildlife. That includes no excited screaming and loud talking. drive to close up to wildlife to get your favorite picture. Rather take a larger zoom with. Elephants and Rhinos will charge your vehicle if they get annoyed. leave the windows of your vehicle wide open if a predator like a lion or a leopard walks past your vehicle. Never get out or lean out of your car other than in designated areas. Especially small children need to be kept out of sight and safe behind closed windows. Namibia is very sparsely populated. Wherever you go, you can experience real wilderness. Namibia is very safe and has a first-class infrastructure. Travellers to Windhoek and Swakopmund and even to the small towns will be surprised to find a first-class range of goods in the shops. Namibia is the dream of every photographer, with a combination of spectacular wildlife, beautiful desert and semi-desert landscapes. 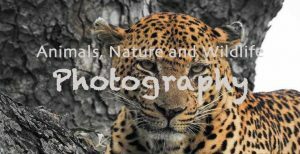 No wonder that photographs from Namibia can be seen regularly at wildlife photo competitions. As everywhere else in Africa, there is only a minimal time difference to Western Europe. In fact, at this time of year, it is in the same time zone as London. No major changes in the children’s sleep routine. In many parts of Namibia are no dangerous creatures. No mosquitoes, no dangerous snakes, nothing. It’s just too dry. You can let your children run around almost everywhere without worrying, except in Namibia national parks of course. Namibia has even more sunny days than almost anywhere in the world. Beautiful clear blue sky all year round. Windhoek has the most pleasant weather with an average temperature of 20-30º Celsius. A large part of Namibia is malaria-free. The only area that is a high-risk malaria area is the Caprivi strip in the extreme north. Otherwise, the country is either low risk or malaria free. Therefore, you won’t have to take malaria medication. Namibia has something for everyone. Amazing wildlife for the nature lover, including a surprising birdlife. Incredible geology for the geologist. Stunning landscapes for the photographer. Breathtaking stargazing observation for the budding astronomer. Some of the best fishing spots are from the beach or a small boat. Namibia has an Interesting history and culture. It combines a fabulous mix of German, African and African language, cuisine and culture with wonderful examples of German colonial architecture. Situated along the southwestern coast of the African continent, Namibia is a land of remarkable contrasts. The top places to visit in Namibia are plentiful in the ever-changing kaleidoscope of the country’s landscapes. 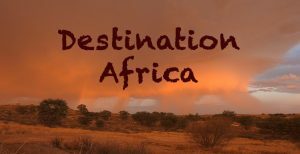 To figure out for oneself the best places of interest in Namibia, I put together this guide of the regions. 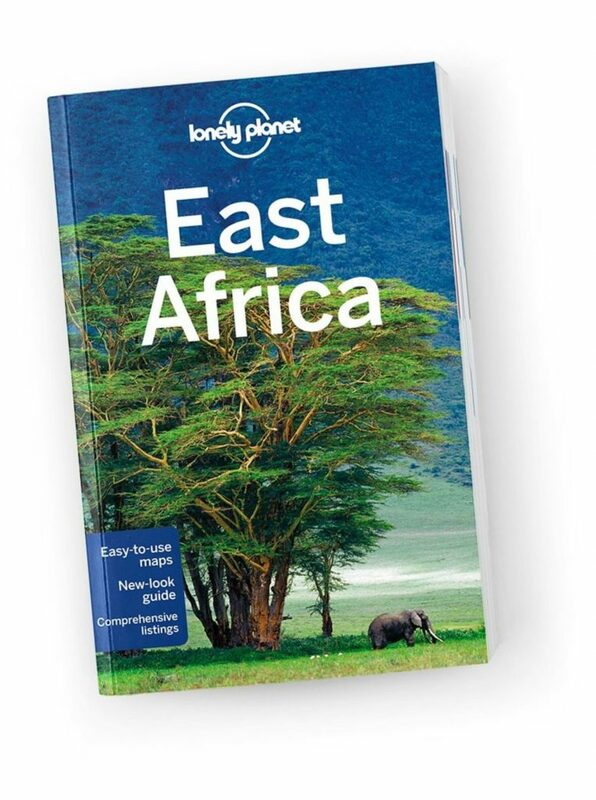 More information you find in this travel guide from Lonely Planet. Top places to visit in Namibia. Savannah vegetation types are characteristic of more than half of the Namibian landscape. The Namib Desert with Namib dunes is situated along the sea is in the west and the Kalahari in the east of the country. Forest-savannah and woodlands represent the far north and northeast. Located centrally, Windhoek is the starting point of most holidays in Namibia. It is an ideal base from which to explore the rest of the country. There are many lodges around Windhoek, ranging from 4-star hotels and homely pensions to backpacker’s establishments and camping. In the rural areas beyond the city’s limits. Windhoek, Namibia’s capital, nestles among rolling hills, bounded by the Eros Mountains in the east, the Auas Mountains to the south and the Khomas Hochland in the west. It is a meeting place between Africa and Europe, the new and the old. In the capital’s main street, well-preserved German colonial buildings stand in sharp contrast to modern architectural styles, while Herero women in their traditional dresses mingle with executives dressed in the latest fashions. Okahandja, 70 km north of the city, has, among its attractions, the Ombo Ostrich farm, the historic Rhenish Mission Church, two informal craft markets where Kavango wood carvings can be bought and the graves of Herero leaders. The annual procession of the Red Flag Herero, towards the end of August each year, is one of the most colorful cultural events in Namibia. Von Bach Dam just south of Okahandja is popular with yachting, waterskiing and angling enthusiasts. Situated 90 km south of the capital, Rehoboth owes its existence largely to the thermal spring surfacing there. Stretching from the Windhoek valley westwards is the Khomas Hochland, an upland region of rolling hills dissected by deep (dry) river valleys. Still further west, the table-top Gamsberg mountain dominates the eroded escarpment which is traversed by several mountain passes linking the interior and the Namib Desert. The far-reaching vistas from the summit of Spreedshoogte, en route to Solitaire and Sossusvlei, are among the most spectacular. The small settlement of Dordabis, southeast of Windhoek, is the center of the country’s karakul (wool) weaving industry. Also of interest in the area is Arnhem Cave, the longest cave system in Namibia with a total passage length of 4.5km. Swakopmund, the country’s premier holiday resort. Although feared by early mariners, the central Namib coast has long been a popular destination for Namibians and visitors. Swakopmund is characterized by a wealth of well-preserved German colonial buildings. Street names serve as reminders of former colonial rulers and administrators, while German is still widely spoken. Well-known historic buildings include Woermann House, the old State Railway Station, Alte Kaserne (Old Fort) and the old magistrate’s Court which now serves as Statehouse in Swakopmund. Sandwiched between the dunes of the Namib Desert, the ocean, and an extensive lagoon, Walvis Bay is Namibia’s major port. 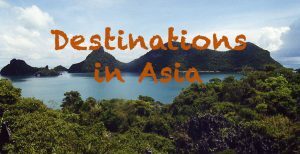 The center of the country’s fishing industry and a rapidly developing tourist destination. In Walvis Bay Wetlands southwesterly winds create ideal conditions for boardsailing and other water sports on the lagoon. The coastal dunes offer a variety of adventure activities such as sandboarding, parasailing, and quad biking. At Sandwich Harbour, some 40km south of Walvis Bay, the dunes sweep down to a pristine lagoon (which once served as a harbor) to create spectacular coastal scenery. Sandwich also ranks as one of the most important coastal wetlands in Africa. It is accessible by four-wheel-drive vehicles only and is open to day visitors only. The Moon-Landscape of Namib-Naukluft Park is one of the world’s geological curiosities. Inland of the coastal towns of Swakopmund and Walvis Bay lies the Namib section of the Namib-Naukluft Park with its gravel plains and the rugged Kuiseb Canyon. The Welwitschia Drive is a self-guided tour starting and ending in Swakopmund which offers a fascinating insight into the desert environment. There are also two-day walks in this section of the park and several campsites with basic facilities. Most of the area is accessible by sedan car. The National West Coast Recreation Area attracts thousands of hopeful anglers each year to angling spots with quaint names like Sarah se Gat (Sarah’s hole), Bennie se Rooi Lorrie (Bennie’s Red Truck) and Jakkalsputz (Jackal’s Well). Cape Cross is not only home to the largest Cape fur seal colony along the Namibian coast but is also of historic interest. It marks the spot where the first European, the Portuguese navigator Dego Cao, set foot on the coast of southwestern Africa in 1468. Further inland, the Spitzkoppe rises abruptly above the arid and sparsely vegetated plains of the Namib. The granite outcrop is a typical example of an Inselberg or island mountain. With sheer granite rock walls up to 600-meter height, the Spitzkoppe is the country’s top rock climbing destination. Brandberg, the highest mountain of Namibia. The summit of the highest peak, Koenigstein, is 2574m above sea level. It is also Africa’s largest open-air art gallery. The most famous of its more than 44’000 rock paintings is the so-called Shite Lady frieze in the Tsisab Ravine. A popular backpacking area, the Brandberg is best ascended by hiring a guide as there are no clearly demarcated routes. Find the White Elephant in Philips Cave. Also of interest are the Erongo Mountains, southwest of Omaruru. The caves and overhangs in the mountains and valleys contain a wealth of rock paintings, among them the famous “White Elephant” painting in the Phillips Cave. Bounded by the Atlantic Ocean and the Namib Desert in the west and the orange dunes of the Kalahari in the east, southern Namibia is a land of wide-open spaces and solitude. It offers several unique attractions, ranging from historical buildings and ghost towns to fossils and quiver tree forests. The main attraction of the southern region is the spectacular Sossusvlei, a clay pan formed when the shifting dunes of the Namib smothered the course of the Tsauchab River. Surrounded by majestic star-shaped dunes with curvaceous lines, the pan and the surrounding dunes of Sossusvlei are especially breathtaking in the early morning hours. The pan can be dry for up to a decade, but after heavy rains, it can hold water for almost a year. Nearby is the spectacular Dead Vlei, with its pure white clay floor and dead camel thorn tree trunks reaching skywards. Sesriem, the gateway to Sossusvlei, is named after a 30m-deep canyon carved through layers of conglomerate by the Tsauchab River. The name is translated “six thongs” – a reference to the fact that pioneer farmers had to use six ox thongs to lower buckets to the pools in the narrow canyon. More information about Sossusvlei. 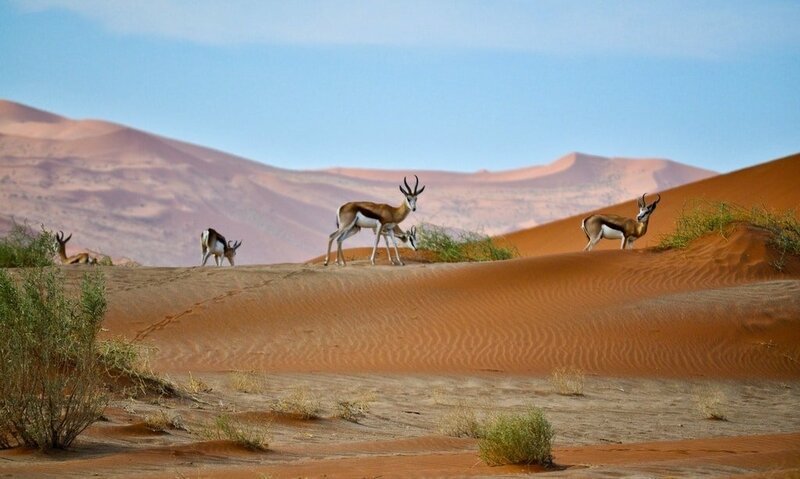 Namib Rand Nature Reserve, 60m south of Sesriem, is Namibia’s largest private reserve. Namib Rand’s diversity of landscapes represents virtually all facets of the Namib Desert. The mysterious fairy circles are also a feature of the Namib Rand. Adjoining the dune sea to the east is the Naukluft massif, with its deep valleys, canyons, undulating hills and sheer cliffs. A sanctuary to the surefooted Hartman’s mountain zebra, the rugged mountains are a haven for the outdoor enthusiast, offering walks a challenging eight-day hike and a 4WD trail. 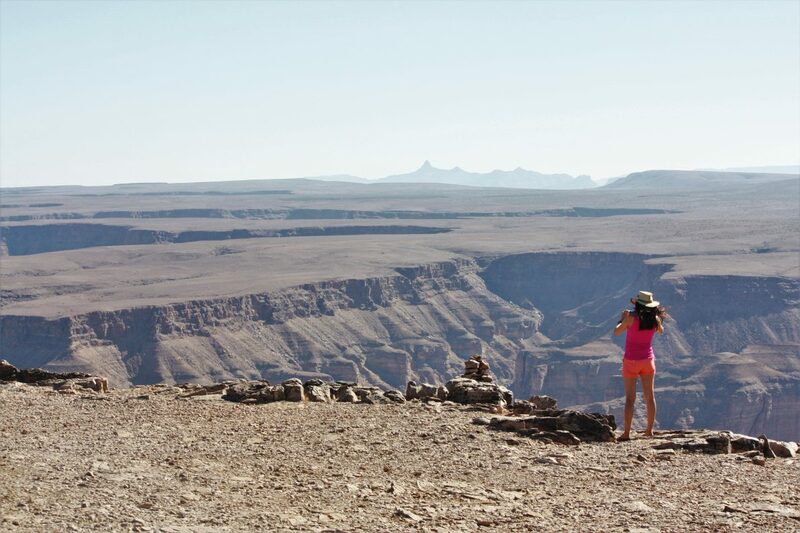 Awe-inspiring is perhaps an understatement when describing the raw beauty of the Fish River Canyon. Fish River Canyon ranks amongst the largest canyons in the world. The most spectacular section is 65km long and the floor reaches a depth of 549m. The Ai-Ais Resort is renowned for its thermal springs and marks the end of the 85km-long Fish River Canyon Hiking Trail. Namibia’s first trans-frontier Conservation Area is Fish River Canyon with South Africa’s Richtersveld National Park. The Orange River, which forms a natural boundary between the two countries, offers great conditions for canoeing and rafting. Traveling westwards of Aus towards Luderitz, the landscape is characterized by seemingly never-ending plains merging in the distance with the horizon. This is the home of the wild horses of the Namib, one of the few populations of desert-dwelling feral horses in the world. Built amongst the rocky outcrops along the southern Namib coast, Luderitz owes its existence to the discovery of diamonds in 1908. 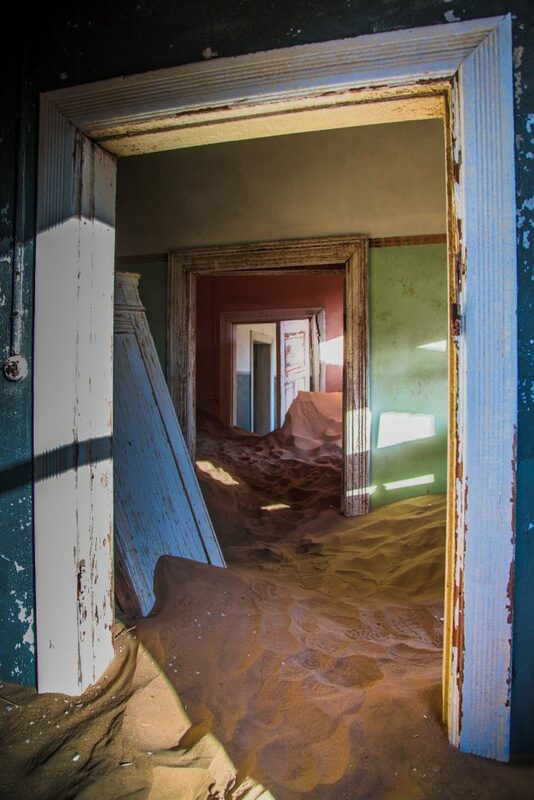 With its wealth of German colonial buildings, Luderitz has survived time and the elements, unlike the former mining settlements at Kolmanskop, Elizabeth Bay, and Pomona, which became ghost towns. The area surrounding Keetmanshoop is renowned for its quiver tree forests, dolerite rock formations eroded into weird shapes and fossils of prehistoric fish. Traveling north towards Windhoek from Keetmanshoop the volcanic rim of Brukkaros is a distinctive landmark. Hardap Dam is a popular angling and watersport destination. The Hardap game park offers visitors an opportunity to see a variety of game species. With contrasting landscapes, ranging from the arid mountain desert of the Kaokoveld to lily-carpeted waterways in the east, the northern region of Namibia has long been a popular tourist destination. Waterberg Plateau Park, southeast of Otjiwarongo, is an attractive en-route stop. Rising unexpectedly above the acacia savannah, the plateau, with its sheer orange cliffs, is inhabited by rhino, roan, sable, buffalo, leopard, eland, and giraffe, as well as a diversity of other species. Activities include walks, guided game-viewing drives, four-day hiking trail and wilderness trails. Just outside Tsumeb is the well-known lake Otjikoto, which became the watery grave of German armaments during World War 1. 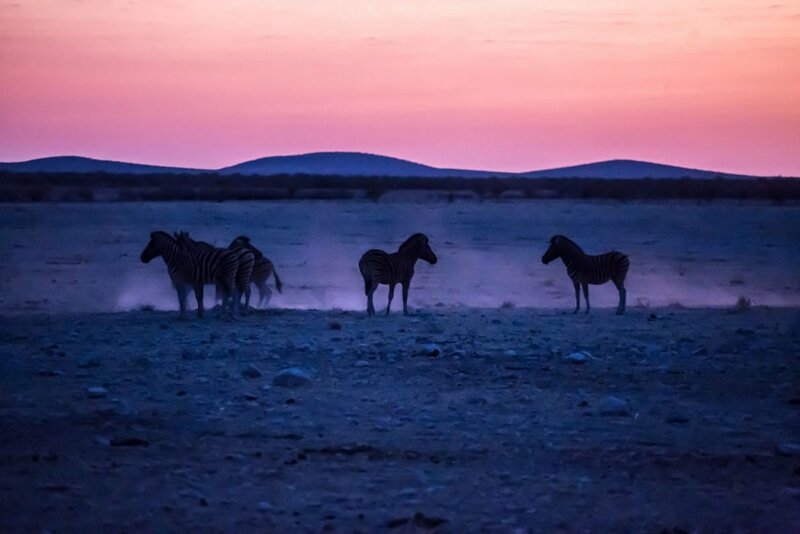 This is also the region famous for one of Africa’s great game reserves, 22,000 km² of pure wilderness – Etosha National Park embraces the vast expanse of the Etosha Pan. One of Africa’s greatest Game Sites – Etosha National Park. Close to Grootfontein, visitors can view the 60-tonne Hoba Meteorite, the largest of its kind in the world and unique amongst meteorites because of its cubed shape. Off the beaten track destinations include the Nyae-Nyae area, the ancestral home of the Ju/’hoansi San. Formerly known as Eastern Bushmanland, the area is 4WD country. 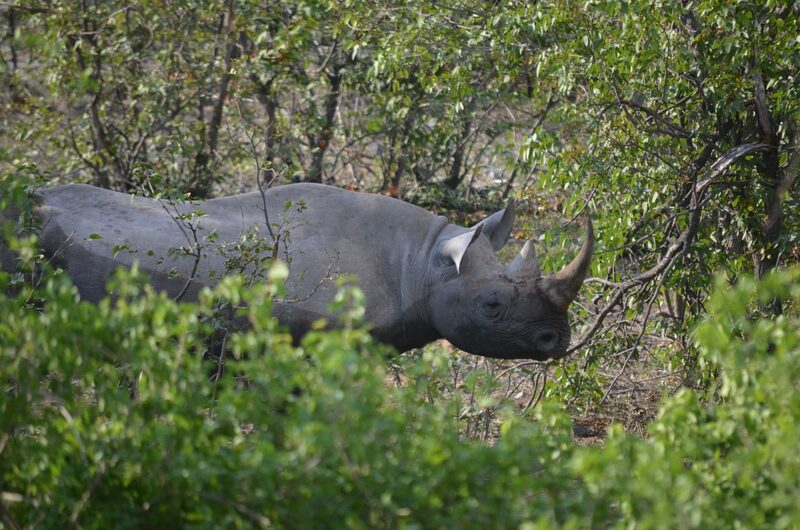 The Kaudum Game Park, further north, is likewise accessible only by 4WD vehicle. 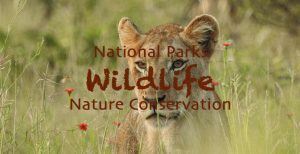 The park is home to elephant, roan, eland, kudu, gemsbok, blue wildebeest, wild dog, and lion. The Caprivi Strip in Northeastern Namibia is a mosaic of woodlands, riverine forests, swamps and rivers. 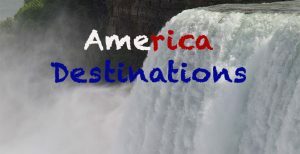 It is a narrow gateway to the border of Zambia and Botswana at the great Zambezi River and Victoria Falls. Two destinations that are accessible by sedan car are Popa Falls (a series of rapids in the Kavango River) and the nearby Bwabwata National Park in the west of the Caprivi Strip. The park offers outstanding birding and is also renowned for its large numbers of elephant, red lechwe, sable roan, buffalo, blue wildebeest, and gemsbok. The One Island in Africa where four Countries meet. Impalila Island lies in the far northeast. Mudumu and Mamili National Parks in eastern Caprivi can likewise be explored only in a 4WD vehicle. The Zambezi River offers superb tiger fishing, while the Impalila island and surrounding area are among the top birding spots in Namibia. To the northwest of Etosha lies the arid but scenic Kaokoveld – a mosaic of sandy plains, rugged mountains and rock-strewn hillsides, bounded in the north by the Kunene River, Kaokoland has been the ancestral home of the pastoral Himba for several generations and they still largely pursue their nomadic way of life. Herds of desert elephants migrate along river valleys that are also inhabited by giraffe, while herds of gemsbok and springbok roam the plains. Bounded by the cold Atlantic Ocean in the west, the Skeleton Coast has aptly been described as the world’s shipping graveyard. It is an isolated stretch of coast dominated by sand dunes, gravel plains, salt pans, and hills. Its main attractions are solitude and excellent angling opportunities. Facilities for visitors are available at Torra Bay (open only during December / January) and Terrace Bay. Among the many other attractions west of Khorixas is the Petrified Forest of Twyfelfontein, with its superb collection of over 2400 rock engravings. Nearby are the Burnt Mountain and the Organ Pipes, a series of angular columns of dolerite exposed in a dry river bed. Also of interest in this area is the Ugab Vingerklip (Finger Rock) which is situated amongst the 80km long rugged Ugab Terraces. At 35m high, this distinctive monolith has been carved into its curious shape by erosion spanning many millennia. Gobabis, an important cattle ranching center, is the gateway to the Trans Kalahari Highway, linking Namibia to Botswana and South Africa. Like many other towns in Namibia, Gobabis developed around a mission station established in 1856 by Freiderich Eggert of the Rhenish Missionary Society. Of special interest is the museum on the outskirts of the town. The earliest known inhabitants of Namibia are the San (Bushmen) who belong to the Khoisan peoples. These hunter-gatherers, including the Ju/’hoansi, Kxoe, and Ikung, roamed the vast plains of Southern Africa for thousands of years before migrants armed with weapons and searching for new land to farm drove them further and further east into the Kalahari desert. Most San people now live or work on farms in eastern Namibia. Crafts produced in the Omaheke Region are marketed by the Omaheke San Trust, an organisation that provides a livelihood to hundreds of marginalised Bushman families living in the region. 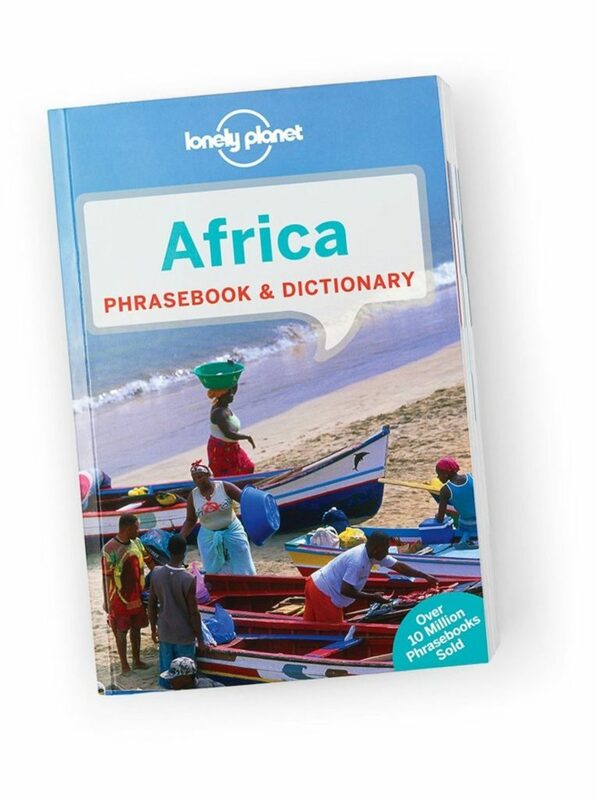 Language: English (official), Afrikaans, German and several ethnic languages. Visas: Not required for North American, UK and European Passport holders (more info: Visa Requirements Namibia). Getting there: Air Namibia flies to Windhoek from Frankfurt. British Airways and South African Airways fly from London Heathrow and other European cities to Johannesburg with good connections to Windhoek. Safety: Namibia is generally a very safe country. 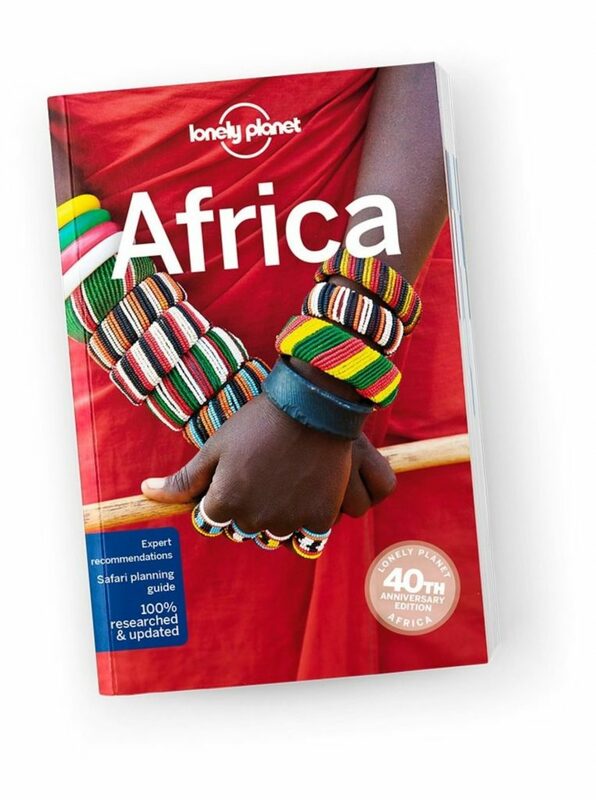 Read here about Africa Solo Travel Safety. Health: Malaria occurs in the northeast and central Namibia – principally in Caprivi, Kavango, Owambo and Northern Kunene. It does not occur in all these areas throughout the year. 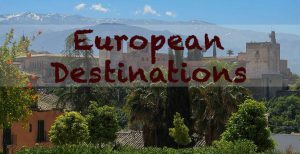 In this travel guide, you find more detailed information. Despite its size, it is one of the most sparsely populated countries in Africa, with an estimated population of 2.2 million people. The north-central part of the country is the most densely populated area, with an average of 26 people per sq km, more than ten times the national average. The small population is largely due to the fact that Namibia is the aridest country south of the Sahara. Namibia’s people are diverse, ranging from the pastoral Himba in the northeast to the San in the east. Tall of stature, Himba men somewhat resemble the Maasai of East Africa, while the women cover their bodies in red ochre. They form part of the Herero cultural group. The San no longer pursue an exclusive hunter-gatherer existence and are struggling to adapt to a new way of life. 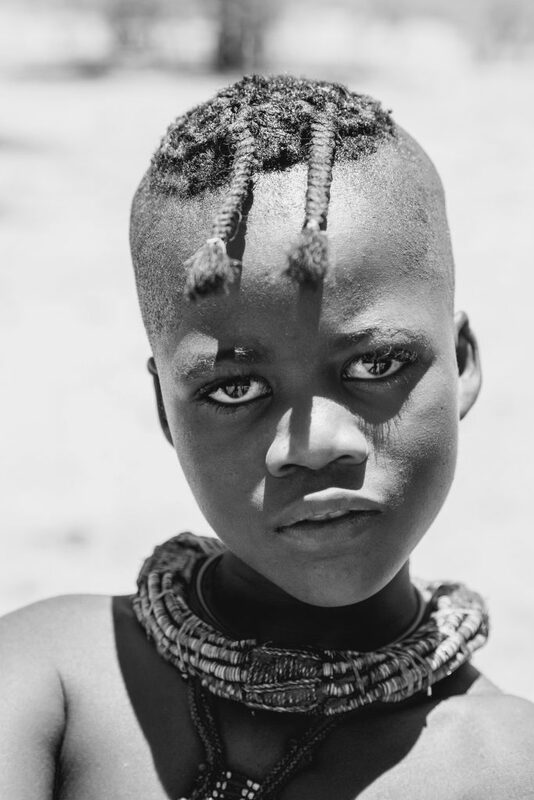 The Himba tribe makes up just one percent of Namibia’s culturally diverse population. A large proportion of the population is Owambo, with smaller numbers of Kavango, Damara, Herero, San Bushmen, Topnaar, and Tswana. Around 12.5% are white Namibians or mixed-race, mostly of Afrikaaner or German descent. Colonized by Germany in 1884, Namibia was administered by South Africa from 1917 to 1990. Between 1966 and 1989, the liberation movement, Swapo, fought a bitter armed struggle against South Africa which finally led to the implementation of United Nations Resolution 435 on 1 Aril 1989. Namibia became independent on 21 March 1990, and Walvis Bay enclave was re-integrated on 1 March 1994. The country is divided into 13 regions. The bicameral Parliament consists of the National Assembly, which has 72 MPs elected on a proportional basis every five years, six nominated MPs, and the 26-member national Council. The economy is based on agriculture (mainly stock-farming), fishing and mining (the country’s most important earner of foreign exchange as Namibia is one of the top diamond-producing countries in the world). Like many aspects of the country, the climate in Namibia is diverse and there are advantages to visiting in any of the seasons. Whatever time of year you visit, it’s odds-on that the sun will shine on you whenever you visit. The country has an average of 300 sunny days a year. Namibia is a land of clear blue skies and a pleasant climate. The summer months are hot, and temperatures of 35C or higher, are common in the south and in the north. Winter days are pleasant, but minimum temperatures can drop to below freezing in mid-winter. Temperatures in the Interior range from 18ºC to 25ºC during the day. Below freezing temperatures and ground frosts are common at night. Interior temperatures range from 20ºC to 34ºC during the day. Temperatures above 40ºC are often recorded in the extreme north and south of the country. The coast, influenced by the cold Benguela current boasts a relatively stable range of 15ºC to 25ºC. Heavy Fog is fairly common at night. Humidity is generally very low in most parts of Namibia, but it can reach as high as 80% in the extreme north during summer. The rainy season is from October to April, The average rainfall varies from less than 50mm along the coast to 350mm in the central interior and 700mm in the Caprivi. The sporadic rains do not affect road travel significantly, but tourists should exercise caution when crossing or camping in riverbeds during the rainy season, as flash floods are common. 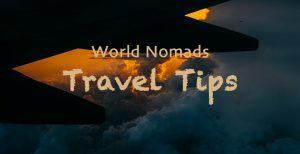 Clothing in Namibia: You should pack both, warm and cold weather clothing in Namibia for your holidays: Hats, sunglasses, lip balm, moisturizer, and sunblock are all essential. During the wet season at Sossusvlei, you might see the vlei flooded, which provides some fantastic opportunities for photography. Still in Sossusvlei, a few weeks after the rain you could be lucky enough to see the desert in bloom. Head to Caprivi where, at this time of year, the Okavango River is high enough for you to take a boat or mokoro trip and glimpse life over the border in Angola. Within the small area of the Caprivi Strip, 450 species of birds have been recorded, making it one of southern Africa’s top birding spots. 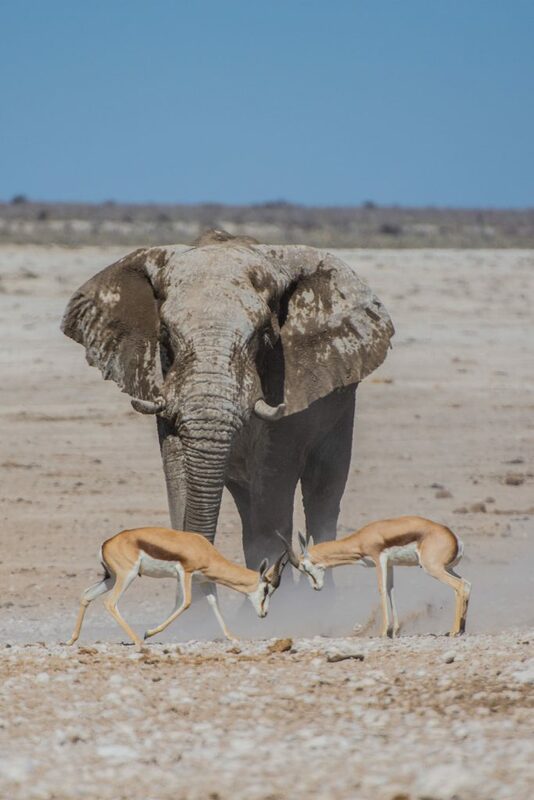 This is the time to visit Etosha National Park if you want to see large numbers of game as it’s dry and the animals all congregate around the waterholes. On the weekend closest to 26 August the Red Flag Herero people gather to honor their chiefs killed in the conflicts with the Germans and the Khokhol. The Waterberg Plateau Park, with its 200m sheer cliffs, is at its most beautiful at this time of year when the clouds build up in the afternoon providing spectacular sots for photographers. Windhoek / Ae / Gams Festival – a huge street party featuring music, dancing, and traditional costume. Although any time of year is great for exploring the Skeleton Coast with its impenetrable fogs, fascination wildlife, and haunting shipwrecks, if you want to try angling, this is the right time. Swakopmund is the place to go to escape the beat of December as the cold air from the Benguela ocean current will cool you down and leave you free to enjoy the town’s array of adventure sports. Get more detailed information about actualities and events for your stay at Namibia Tourist Board.